Our obsession with all things digital in marketing may come at the cost of early insights into other more exotic concepts, according to Phil Phelan, national strategy director for Australia at SapientNitro. Phelan says the rapid evolution of technology makes it important for brands and agencies to be constantly asking ‘what’s next’. However, the tendency to focus on the technology of the day – especially technologies whose ramifications are still to be fully grasped – can lead us to become blinkered regarding what lies ‘over the hill’, he claims. While there is a great deal of focus placed on innovation, marketers and agencies are too reliant on the current dominant companies to supply them with ‘stretchy’ ideas and innovation, Phelan says. “And there is something that is in a sense wrong in asking the people who own the dominant marketshare and the status quo to tell you what else you should be thinking about,” he continues. “There’s not much point in talking to big digital companies about what is coming up next after digital. 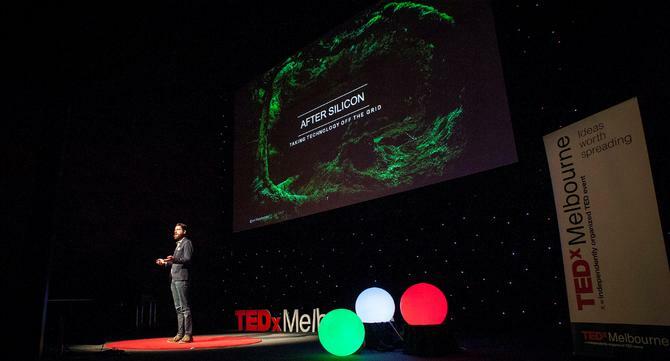 In his recent presentations at the Spikes Festival Asia and TEDxMelbourne titled After Silicon, Phelan discussed the findings of a global survey of new and emerging technologies undertaken by him and his team. This uncovered a range of projects currently sitting on the fringes of the research community. These projects included a group in Europe that was attempting to use bio-fabrication to grow textiles; a research project in Boston developing foam that could change its properties to simulate materials ranging from wood to paper; and another startup using electrostatic stimulation to simulate taste and smell, effectively allowing these sensations to be broadcast. In another project, a researcher is working to give paper the ability to self-animate. “It is the physical world, but he is using a combination of applied software code along with thermal control and ink,” Phelan says. “None of these things are really about foams or computers of microchips. What they are about is the codes that run computing being applied to organics and biological matter. And that’s the next wave of technology. Phelan says the danger for brands is in missing out on getting in early in these new technologies, especially as the pace of technological change is accelerating. He says the tendency for simultaneous innovation across different fields to combine in new ways also compounds their effect. “Absolutely you have to be successful, and you have to survive and prosper in every campaign and every interaction you deliver, but equally you have responsibility to manage big investments of a company’s effort and time and resource over many years pointing towards new areas,” Phelan says. “Digital, and digital capabilities have been around for decades now, but companies both in the agency world and in the client marketing world, and even in the broader world beyond that, are still grappling with the right set of capabilities to respond and react.